In Utah the state requires that BOTH parents be financially responsible for the child(ren). There are many factors that play a part in the amount of child support each parent will have to pay. The state has set up a guideline worksheet that can help you estimate the amount that will be your air share. The guidelines are simply a fee schedule or formula. The court will review the results of the guideline worksheet, take into account the specifics and circumstances of the case, and then order an amount to whichever parent will be paying the support. A parent can always pay more than the amount ordered, but never less. Aside from the worksheet child support is determined by how many children are in the family and the amount of time the child(ren) spend with each parent. The base amount for the support is determined from the state Child Support Calculator and the court then looks into the specific factors of the case at hand. Child support amount is first based on each parents’ gross monthly income. Each parent will need to provide some form of proof of income, preferably using a paycheck stub, as well as their most recent tax return. If one or both parents are currently unemployed the courts will determine a fair amount based on his/her earning potential. This is determined by things such as past incomes earned, education, and past experience. In most cases the parents are also both required to share all out-of-pocket medical expenses. This includes co-payments and deductibles. 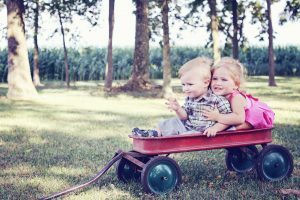 The court will also order that both parents carry medical insurance on the child(ren) if it is available at a reasonable cost. If the custodial parent is the only to carry insurance coverage both parents will split the cost of the premiums equally. 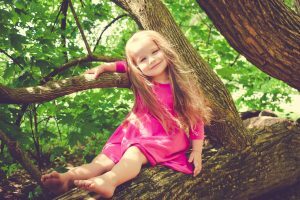 If the non-custodial parent is the one that is able to carry the coverage the amount of the premiums will be deducted from the monthly child support payment. Parents will also equally share all child care expenses if they are work and/or education related. Child care expenses for other reasons will be paid solely by the parent that accumulated them. The parent that initially pays for the expense has 30 days from day of payment to provide written proof of the expense, such a receipt. The other parent then has their own 30 days, from the day the received the proof, to reimburse half of the payment. With child care the parent that arranges everything will need to provide written proof of name & location, a breakdown of the monthly cost, and written proof of days attended and the reason they were there. In Utah there is establishment in place to help parents with setting up and retrieving/receiving payments. The Office of Recovery Services (ORS) assists with taking payments from the non-custodial parent, getting these payments to the custodial parent, setting up wage withholding order, and assisting in the recovery of past due payments. Both the payee and/or the payer have the right to set up an account through the Office of Recovery Services (ORS). In Utah that standard visitation allows the non-custodial parent some extended visitation time. During this time there may be a deduction of the monthly child support payment. 50% reduction if the child(ren) stay for 25 or more days in any 30 consecutive day period. 25% reduction if the child(ren) say for 12-25 days in any 30 consecutive day period. If circumstances change you are allowed to have the order modified, although the steps for this is different than the initial set-up process. You can only modify the order every 3 years, and you can only modify it early if one or both of the parents have a significant life changing event occur. In order to move forward with a child support modification, you must file a petition with the courts. Most important remember YOU STILL HAVE TO PAY YOUR CHILD SUPPORT. Just because you are not working doesn’t mean the child support stops. 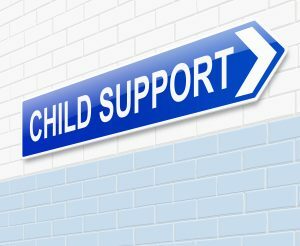 If you do have a major life changing event, such as losing your job, you can get the child support order modified through the courts to reflect it. You will need to make sure you have proof of the change, like bank statements, tax returns, letters from your job. And until the support order is signed in court you will still be responsible for the full payment every month. What do I do if my Ex won’t pay the child support? Generally, you’ll have to take them to court. At court the judge can decide the best route to take, whether it be a fine or sentencing some jail time. Some judges will even hold them in jail until the past due amount is caught up. What are the best ways to pay my child support payment? ALWAYS TRY TO AVOID DIRECT CASH PAYMENTS. There is usually no proof of these payments since they don’t have documentation or evidence. It’s too easy for the other person to simply say that you never paid. A better way is to pick on of the two major methods of payment- direct or indirect. Direct payments are payments made using online money transfers, bank account transfers, personal check or money order, or income withholdings. Indirect payments are made using a third party, such as using companies like ORS or paying your half of a doctor bill by sending your payment directly to the doctor office instead of giving it to the other parent. Can my Ex keep my kids from me if I’m behind on child support? NO. Child support and visitation rights are two entirely different matters, one does not affect the other. Your Ex may not keep your child(ren) from you for any reason unless they have a court order to do so. How long to I have to pay child support? In most cases you will have to pay until the child turns 18 or graduates high school- whichever comes last. There are some circumstances that this could be different, such as a special needs child that will require extra care into adulthood. Do I have to have an attorney for child support matters? While it is not required an attorney is immensely helpful. There are many rules, exceptions, and forms. With a successful knowledgeable attorney to help guide you through it will give you a much better chance at a favorable outcome. CALL US NOW OR STOP BY! Stevens & Gailey is not your lawyer unless both of you have signed an agreement that Vincent or HD will represent you.The material on this site is not intended to and does not create an attorney-client relationship. Neither your receipt of information from this website, nor your use of this website to contact Stevens & Gailey, creates an attorney-client relationship between you and or the Law Office of Stevens & Gailey. 76 N. MERCHANT ST. AMERICAN FORK, UT 84003.